The vision system measures the rotational position of the D-cut lens for a cellular phone camera. 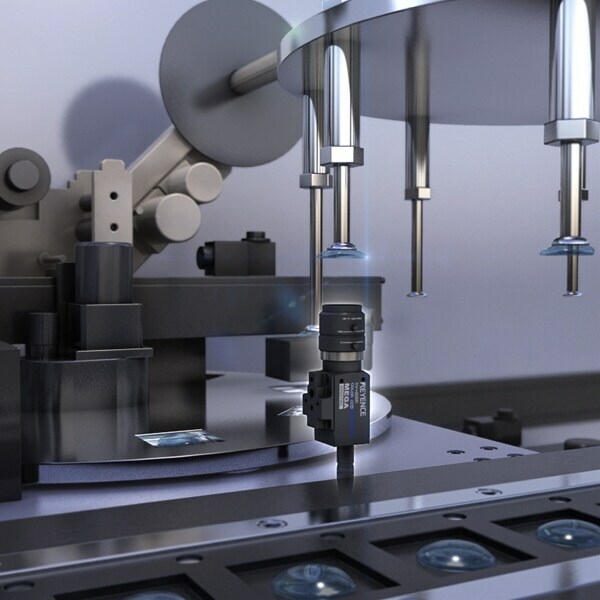 The XG Series Trend Edge Stain tool can stably detect only the D-cut portion of the lens by setting the detection conditions to find the center of the flat edge in relation to the normal circular profile. The position of the minimum radius was detected with conventional edge position tools, but this measurement is not always repeatable. The Trend Edge Stain tool makes it possible to accurately detect the center of the D-cut without being influenced by subtle changes.